Hello and welcome to my blog. Thank you for visiting. 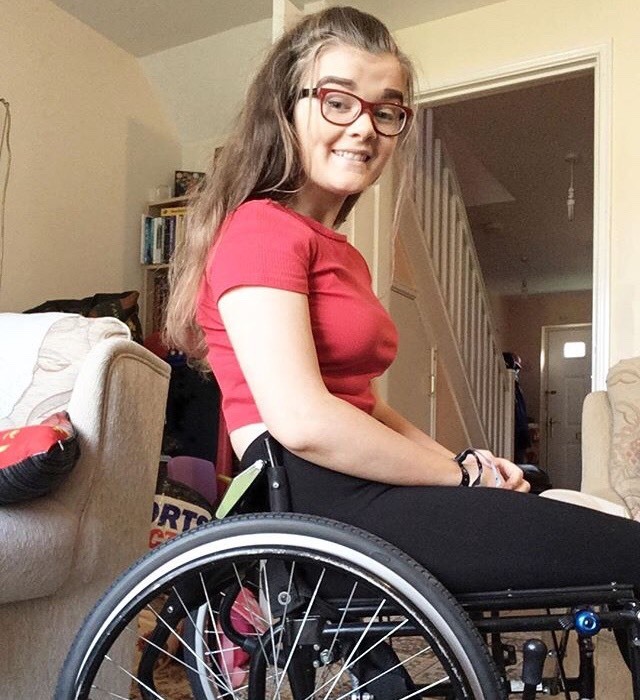 I'm Naomi and I write about living with disabilities and chronic illnesses, but my health is only a portion of who I am. I'm passionate about campaigning and raising awareness. I post a weekly journal and I also share guest posts as a way to give others a voice. Hey I’m Grace, and I have FND- this is my story and what I deal with on a day to day basis. Just after my 14th birthday on the 27th December 2016 I came in from being out with my freinds feeling very dizzy and sick. The next day on the 28th of December is when everything basically went down hill. I had a 12 day sickness virus, during this time I was in and out of hospital, not knowing why I was being sick so much. After all the sickness was gone I was left with a staggered gait in my walking, I was in and out of hospital then in February 2017 I was diagnosed with FND, I thought maybe I was going to get some help with this mystery illness but I was left for 8 months. I got to the point where my legs would just buckle beneath me. Eventually I got referred to children’s physio, who managed to get me back to staggered walking, I would use a wheelchair outside to get around and stagger walk inside. Everything was going okay until November 2018 when everything went south again. I was in an English lesson and all of a sudden I couldn’t get my words out it was like I knew what I wanted to say but they wouldn’t come out. It was as if my words were trapped in my mind. Then about a week later I developed a permanent tremor in my right arm - I had an off and on tremor during times when I got really bad viruses. But this time it stayed and hasn’t gone away. Then about another week later my right leg went paralysed I can no longer move or feel it at all. Then a few days later When I read on paper the words would disappear off the page. Then about 3 weeks after I developed non epileptic seizures which were every 10-15 minutes lasting 3-4 minutes but now they are every 20-30 minutes lasting 10-20 minutes I have about 26 seizures a day!! The problem is that no one knows how to help me, and because of this I just get left with no help just like other FND fighters. "But you don't look sick"
"There are things that are possible; things that are impossible, but otherwise, within my restrictions, anything is possible. Imagination is another name for absolute power." Yoga, My Bed & M.E.